Spread over nearly 64,000 sq m, with stalls representing more than 4000 exhibitors from 68 countries, Arab Health 2017 received a staggering footfall of nearly 97,000 visitors - a 5% increase over the previous year. 2017 also saw the launch of the HoT concept – new Hands-on-Training modules that allowed participants to roll-up their sleeves and get their hands into the most advanced techniques with the latest state-of-the-art equipment across different modalities. 3D Medical Printing exhibitors on the other hand enthralled visitors with even more immersive medical experiences. As always, the conference will host globally renowned speakers and thought-leaders on stage. The event will cover a broad spectrum of medical specialties and disciplines on the latest healthcare issues, as well as offering Continuing Medical Education (CME) opportunities to professionals from all healthcare disciplines. Arab Health 2018 is now poised to put the spotlight on Personal Healthcare Technology – a hot topic that is likely to draw worldwide attention. It will enable personal healthcare device manufacturers and service providers to showcase exciting new technologies, products and services to thousands of decision makers both regionally and internationally. Get ready for futuristic innovations in Smart Watches, Fitness Trackers, Telemedicine, Disease Management Technology, Apps and more. 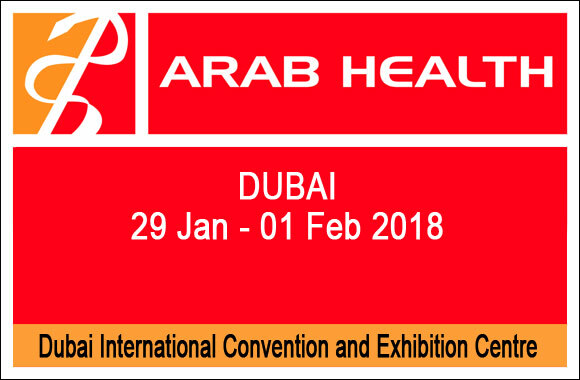 Arab Health is usually sold-out months ahead, highlighting its strength as the region’s leading exhibition in the healthcare industry. Book in advance to avoid disappointment.